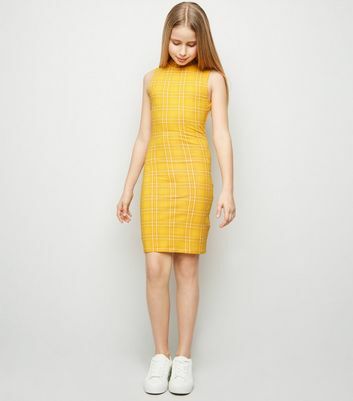 Bodycon dresses are stylish yet comfy, on-trend yet casual. Our girl's bodycon dresses come in a range of colours, styles, and fabrics. Match an olive choker bodycon dress with ballerina flats for the ultimate laid-back school appropriate style. With our bodycon dresses, you'll always look your best.